In my previous post, I talked about the importance of eating gigantic meals for you to bulk up and put on muscle mass. Also in the past, I’ve mentioned my sub-par cooking skills and that I often find myself eating the same meals over and over again. Today I want to share these meals with you. These 5 meals are versatile because I can eat them year round. Whether I’m bulking or cutting, the reality of my situation is that I’ve been relatively eating relatively the same meals for years. Because they taste great. I’ve learned their macros by heart and they’re easy to make. In case you don’t know: “bulking” is a word used to describe gaining weight or adding muscle mass. “Cutting” is the opposite – it’s a term used to describe losing weight. Preferably, you want to lose fat, not muscle mass. I’m not a complicated eater. That’s one huge key with transitioning to a healthier lifestyle: you have to be able to adhere to your diet over a long period of time. If you don’t like what you’re eating, or if every single one of your meals takes hours to prepare, you’re fucked. You have to develop a rotation of meals that you can make consistently, eat consistently and more importantly, are going to give you results. Assuming your diet is already on the whole foods, minimally processed side, it would be insane to think that you have to eat completely different meals for you to reach your goals. The meals you’re about to witness below only require you to tweak the ingredients. You’ll either increase or decrease the number of calories to give you the desired outcome (bulking vs cutting). I didn’t include a picture comparison for every meal due to the fact that I started the challenge. I’d be wasting food just to take pictures. I’ll be adding these in the future. With that being said, here are the 5 versatile meals that are good for both cutting and bulking. Whenever I’m on the cutting side, almost every day consists of an omelette made with egg whites and filled with veggies, I might turn that omelette into scrambled eggs if the omelette doesn’t hold up together while cooking. When I’m on the bulking side, I will opt for whole eggs for added calories and healthy fats, along with another 4-6 egg whites. On top of that, I’ll take whole grain bread and package these eggs into a sandwich. This meal wouldn’t be complete without adding butter or margarine on the bread. An alternative here is to eat your omelette with peanut butter toasts. Cutting: Omelette – 8 egg whites, 1 handful of baby spinach, 1/3rd cup of diced red onions and tomatoes, 4-5 tbsp of extra virgin olive oil. Bulking: Omelette with 3 large eggs & 4-6 egg whites, 3-4 slices of whole grain bread, 2-3 tbsp of butter OR 3-4 tbsp of peanut butter. This is probably my longest standing go to meal when it comes to bulking & cutting. It’s important to load up on carbs if you want to gain weight. Pasta allows you to do so relatively effortlessly. Add shredded cheese on top of your meal for an extra 200-400 calories and you will have yourself a monster muscle building meal. If I’m cutting, spaghetti squash is the way to go. 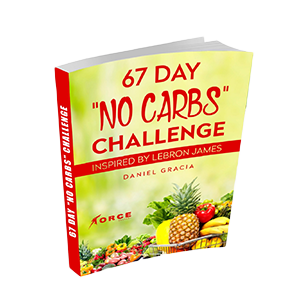 This is a low calorie carb replacement that will allow you to get the feel of eating that spaghetti you love without the gigantic amount of calories that comes from pasta. You can also opt for zucchini noodles as a carb replacement. My spaghetti meat sauce is made with lean ground beef, tomato paste, diced green & peppers, diced onions and garlic. Bulking: 3 cups uncooked Rotini – makes about two cups cooked. Cutting: 200g of spaghetti squash (oven roasted). The classic bodybuilder meal. It just flat out works, and it’s also easy to make. The trick here is the spices. In order to make this meal worthwhile, you have to find spices that compliment your chicken and broccoli. If I’m cutting, I will cut down or completely remove the rice or potatoes. Make sure to add extra broccoli to make up for the lack of starch. Cutting: 6-8oz chicken breast, 3 cups of grilled broccoli. If you’re having a hard time gaining weight, consuming monster protein shakes should be a part of your nutrition plan. This takes it step further. If you’re bulking, take that monster protein shake and throw it directly into your favorite cereal. You will have created for yourself another monster muscle building meal. Assuming your shake tastes good, it’ll probably be the best bowl of cereal you’ve ever had. You’ll probably never go back to eating cereal with simply regular milk unless you’re cutting. That’s when you should stick to the regular protein shake and only consume cereal every other day. My list of favorite cereals includes Vector Cereal, Frosted Flakes, Whole Wheat Shreddies, Reese’s Puffs & Cinnamon Toast Crunch. Cutting: protein shake – 250ml unsweetened almond milk, 2 scoops whey protein powder, 2 tbsp crunchy peanut butter, 1 medium banana, 2-3 strawberries, handful baby spinach (on occasion). Bulking: protein shake + 4 cups of cereal of choice. 5. Greek Yogurt & Almonds vs Greek Yogurt, Almonds & Granola. Greek yogurt is a staple in my diet. In this post, I mentioned Greek Yogurt as one of my favorite sources of lean protein. Granola is not the healthiest carb option however, it gets the job done and it tastes great. As long as you’re getting your vitamins and minerals with a whole foods approach throughout the remainder of the day, you’ll be fine. Vector granola is something that I have recently discovered. It packs 20g of protein for half a cup. You just can’t go wrong with that. If you’re cutting, stay clear of granola and stick to 0% fat Greek yogurt (my favorite is vanilla) with almonds. If you’re on the bulking side, go with 2% fat, plain Greek yogurt with almonds and vector granola. The reason for the plain Greek yogurt is because the sugary taste will come from the granola. You don’t need extra sugar coming from your Greek yogurt. Your almonds should always be plain. From time to time, I will go with Harvest Valley granola if the deal is too good to pass up. Cutting: 1 cup of 0% fat lactose free Vanilla Greek yogurt with 1/2 cup of almonds. Bulking: 1 cup of 2% fat plain Greek yogurt, 1/2 cup of Vector granola and 1/3rd cup of almonds. All we care about is eating meals that get the job done. Your plate doesn’t have to be pretty to get the results you want. What’s important is for you to eat tailored to your goals, without killing yourself trying to eat like a world-class chef. Keep your meals simple. Eat according to your goals and you should be on your way to bulking or cutting effortlessly.